Here in Iowa the temperature dropped about 40 degrees in the past 24 hours - par for the course this time of year. Good or bad, it reminds me we're perilously close to the holidays. 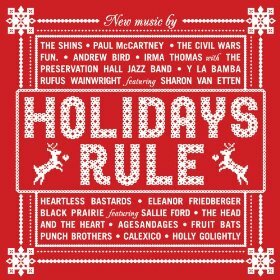 Hear Music embraces that by releasing Holidays Rule on All Hallows' Eve -er - Eve, a new holiday compilation featuring Paul McCartney with a smoooooth version of The Christmas Song and The Shins' version of McCartney's holiday standard Wonderful Christmastime. 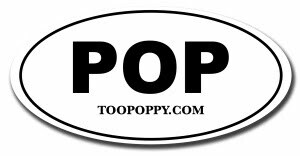 Fun, Rufus Wainwright, Fruit Bats, and others also contribute to what sounds like a very eclectic yet deferential album that could very well soundtrack the Too Poppy household this holiday season.